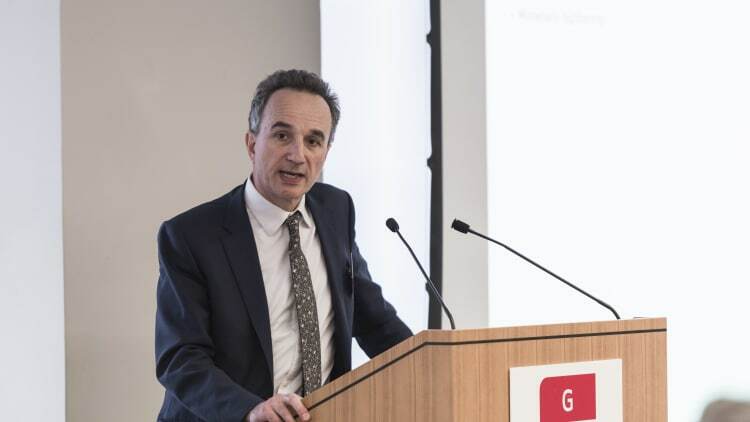 With a mounting number of insolvencies on the British high street and among British firms, and uncertainty over the UK’s future after Brexit, Deloitte’s chief economist Ian Stewart addressed GRR Live London on threats and challenges to the UK economy. Stewart opened the 22 March event at Stephenson Harwood’s London offices – GRR’s third live event in London – becoming the first non-judge to deliver a GRR Live London keynote address. His remarks came ahead of a GRR Live London unusually dominated by a rash of UK insolvencies in the retail and casual dining sector, which have visibly hit British high streets, amid concerns over declining UK consumer demand. He said Brexit was “unsurprisingly” the top risk CFOs feared in the UK, but also weak consumer demand. Brexit was clearly a “headwind” which would lead to a consumer squeeze, he said. While the UK had beaten some of the direst expectations of economists after it voted to leave the European Union in June 2016, one area where they proved correct was in the effect on the UK’s currency, whose value fell around 15% in the run up to and following the Brexit vote. British consumers are facing other challenges, including a low savings ratio which has depressed their ability to sustain spending by saving less. Banks are also cutting back on credit lending, taking away some of the tools consumers use to keep spending. The UK is coming to the end of a period of almost accidental stimulus, Stewart noted, after banks were compelled to pay out as much as £28.5 billion to consumers who were found to have been mis-sold payment protection insurance. “One banker said to me: ‘We are providing fiscal stimulus to the economy that the government daren’t provide.’ There’s something in that, but that money is pretty much now gone,” Stewart said. Political developments, including the outcome of Brexit talks and the identity of the next prime minister, would play a role too. He said the most likely Brexit outcome was not “hard” or “soft” Brexit but “smoothish Brexit, even if a lot of things go wrong”. He noted that betting markets had Jeremy Corbyn, the Labour leader who is perceived as significantly further to the left than any major British political leader in recent history, far ahead of any other candidate to be the UK’s next prime minister. Beyond the UK, Stewart said the “central and possibly underpriced risks” for corporates were a combination of monetary tightening, a very mature recovery and high debt levels in some sectors with overstretched asset values. This was a combination of factors that often leads to recession, he said. He noted that this came from a consistently trade-sceptical outlook from the US president, who as long ago as the 1980s was “very angry” about Japanese car imports into the US. He said the tariffs on steel imports were “bizarre”, in that rather than targeting the US’s main global economic rival China they instead mainly hit US allies South Korea, Japan and the European Union, despite invoking national security. (President Trump did announce, only hours after Stewart’s remarks, new tariffs specifically against imports from China). For Stewart, the rise of China and its economic and political rivalry with the US is the “big underlying story”. He cited, in particular, a US congressional investigation into Chinese copyright piracy. Stewart spoke at GRR Live London, which took place at Stephenson Harwood’s offices in the City on 22 March. Two further panels addressed the sectors where restructuring work is likely arise in the coming months, naming 2018 as “the year of the company voluntary arrangement (CVA)”. While CVAs are ten-a-penny on the British high street at the moment, panellists warned that they are only half the story when tackling business disruption and that they work best when used as part of a broader operational restructuring. GRR will be reporting on these panels in due course.